At Riverview Estates, we offer rehabilitation services to people who are 65 years of age and above. 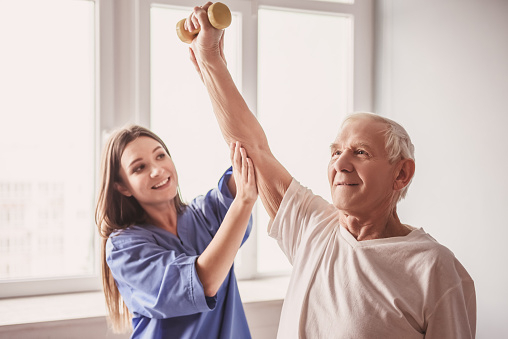 The Riverview Estates Physical Therapy team ensures that patients can achieve a better quality of life, through rehabilitation goals and increased independence. 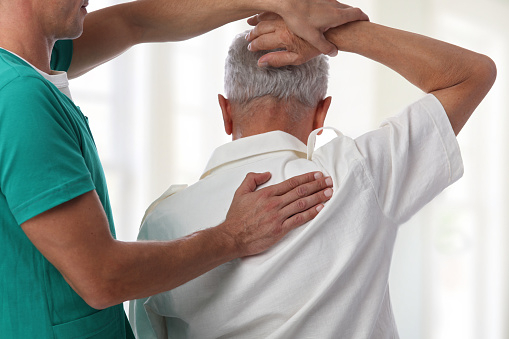 Our rehabilitation therapy uses a comprehensive approach to patient care. 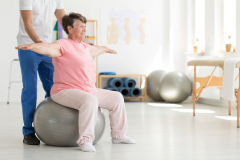 Physical Therapy – We utilize many of the latest therapeutic techniques in order to give patients the ability to restore their mobility and develop strength – preventing the likelihood of future injuries. 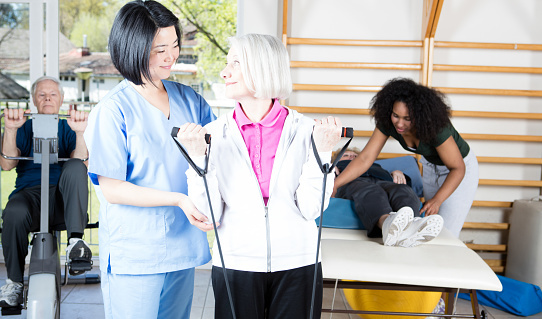 We use strengthening equipment to assist the patient with resistance, support and stability. 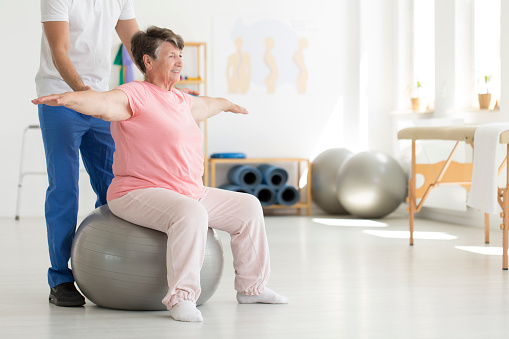 Since each of our patient’s conditions and treatment plans are different, in addition to equipment, we utilize balance boards, balance discs, parallel bars, balance pads, resistance bands and Swiss balls. Occupational Therapy – focuses on a resident’s ability to function while performing daily tasks, including but not limited to bathing, dressing, eating, and brushing hair and teeth. Speech-Language Pathology – focuses on a resident’s speech, ability to swallow, and improving communication and cognition, while increasing memory, safety awareness and independence. We offer in-house physical therapy, occupational therapy and speech therapy. Our speech therapist works with individuals to restore them to their highest functioning capability. A person may need one or any combination of these types therapy when recovering from an illness or accident. Our therapy department is well equipped to handle patients with these conditions, using modern and effective approaches. Each patient is continually evaluated so that they can achieve their goals and maintain better quality of life.